Full Service Boarding and Training Facility. We specialize in sporting breeds. 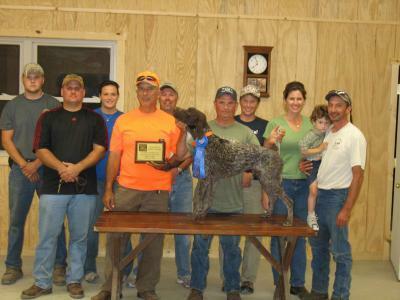 AKC Hunt Tests, Field Trials, NAVHDA Preporation, Shooting Dogs, & Creating Personal Hunting Companions. Head Trainer; Chris Goegan who began his career by attending Mount Union Collage with a major in Early Childhood Development / Developmental Psychology and being picked up by SeaWorld of Ohio training Killer Whales and other marine mamals. Chris worked for SealWorld until their departure from Ohio and by that time Chris had all ready begun his dog training career on the side. With a full kennel up and running Chris declinded to go to Florida with SeaWorld. Chris has never looked back and has been a full time dog trainer ever since. 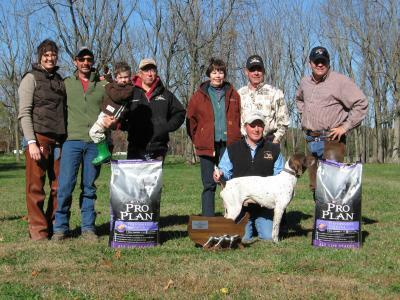 Achieving multiple Field Champion titles, Nationsl Field Champions, Futurity Winners, Master Hunters, and American Field Champions with numerous dogs. Including the 2010 NGSPA All Age Dog Of The Year. Call to set up your appointment for a free evaluation. 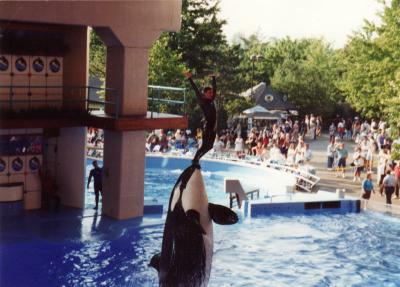 Chris' Animal Training Career Began At SeaWorld Of Ohio.